The Meehan Tennis Academy has held a successful relationship with Alamanda K-9 College since the schools inception in 2013. Together we have been able to deliver high quality tennis lessons to hundreds of children at Alamanda during school hours. We conduct Tennis Australia’s ANZ Hot Shots Program and Private/Semi-Private sessions. 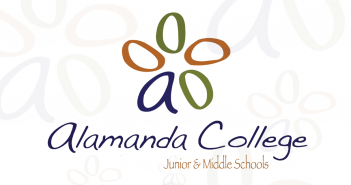 If your child is enrolled at Alamanda College and would like to be involved in our tennis program, please contact us for further information and enrolments. Enrolments for the Alamanda College Term 2 2019 Tennis Program have now closed. Please contact us directly for mid-term enrolments. The Meehan Tennis Academy began delivering the Hot Shots Program at Tarneit Rise Primary School in 2018 through the Australian Government’s Sporting Schools program. This has progressed into an after school tennis program held indoors in the school gym. If your child is enrolled at Tarneit Rise PS and would like to be involved in our tennis program, please contact us for further information and enrolments. Enrolments for the Tarneit Rise PS Term 2 2019 Tennis Program are now open. Please click here to enrol your child. We have also delivered several school tennis programs for other schools including The Geelong College, Westbourne Grammar, Tarneit P-9 College, St. Peter Apostle Primary School & the Islamic College of Melbourne (ICOM).